As you may have already noticed, I’m a big fan of the stars, the moon, mysteries of outer space, AND shades of blue. 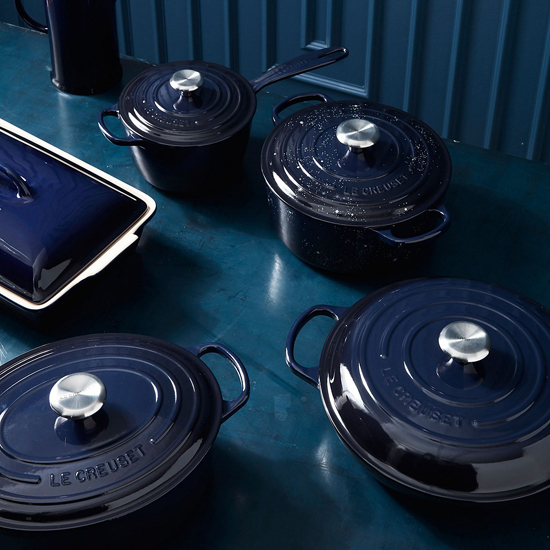 Of course this exclusive Le Creuset dream collection featuring a blackened blue and swirling stars would have to be released right after I finally purchased my first dutch oven. OF COURSE. 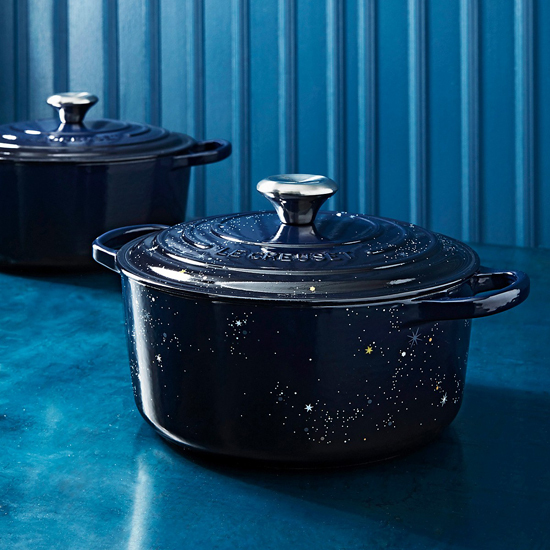 The cute dutch oven with stars is only available in the 4.5 quart size and it’s not in the budget right now, unfortunately. 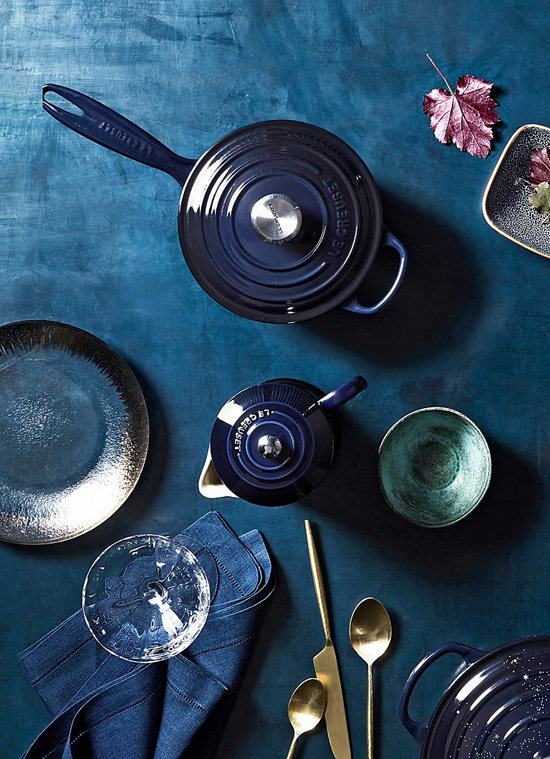 I’ll just keep ogling it while I consider one of the other pieces in the black blue Cosmos hue, like that glorious Cosmos 9qt Round Dutch Oven. There are some sweet ceramic pieces, like the Cosmos French Press and Cosmos Mugs, that are mighty tempting as well. More HERE. Oh my gosh, these are gorgeous! My fella has been struggling for holiday gift ideas for me, but I think you may have just found a good one…!